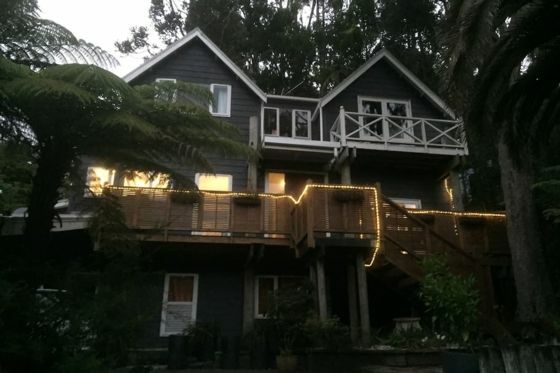 Do you want to spend time in beautiful Titirangi, a real Kiwi gem of Auckland, situated only 20-30 minutes from CBD Auckland? Surrounded by native forest, birds and friendly neighbourhood in safe environment, ideal for family and children? We offer a nice and space studio unit, with separate entrance, including kitchenette and cooking facilities, bathroom, toilet an lot of outside areas to enjoy. Easy access, great in/out area, close to all Auckland amenities and most beautiful beaches of NZ. Our home will offer you day and night holiday atmosphere and relaxing stay - guarantee. You will sleep like a baby, the native birds will wake you up and fresh air will inspire your day. Be aware it is a wooden house so if your a light sleeper this may be something to consider. Peaceful part on the border of Laingholm and Titirangi.